Humorous songs for baritone voice and cello, from Myers’ humorous vocal act called The Art of Belly Canto. 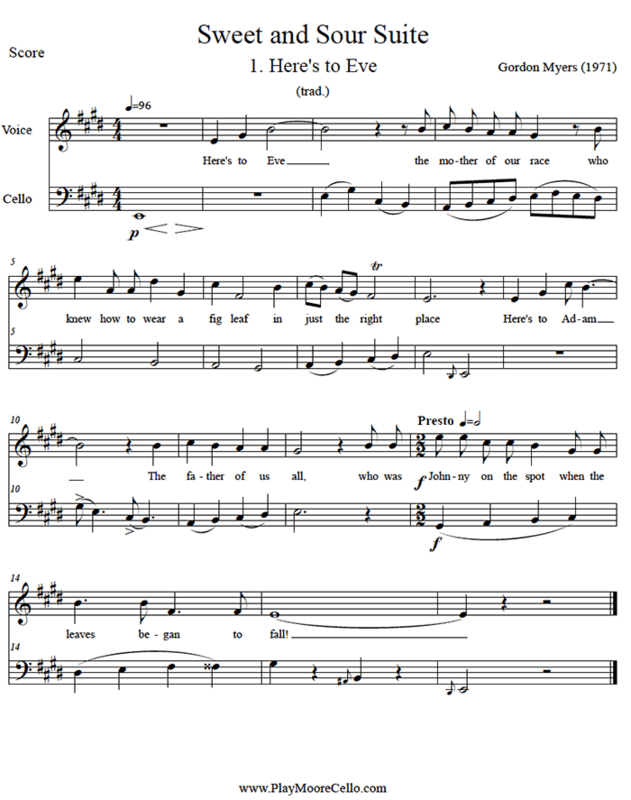 Inquire about vocal range; since original is on Finale, transpositions higher or lower can easily be made. Print two copies for performance.